ABUJA – Over 84 million people are set to vote on February 16 to elect the next president in Africa’s largest democracy. Over 84 million eligible voters are set to cast their ballot on February 16 to elect the next president and members of Nigeria’s National Assembly. Governors and members of the states’ House of Assembly will be elected in another election on March 2. A total of 91 political parties are participating in the general elections in Africa’s largest democracy. Nigeria is never short of political heavyweights on the ballot paper during elections. More than 70 candidates are competing for the country’s top job. 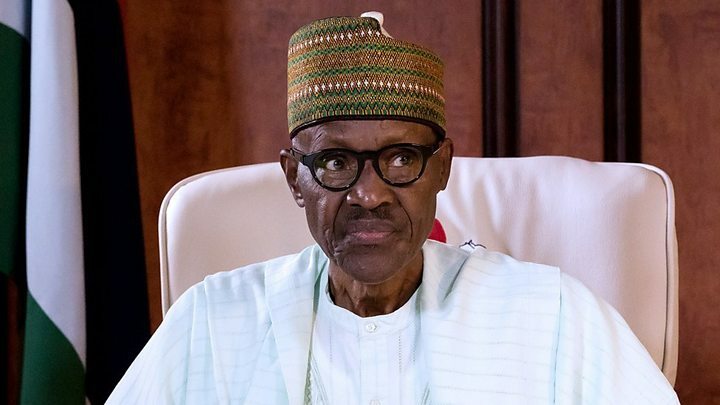 But the main contest is between two septuagenarians: incumbent President Muhammadu Buhari, 76, of the ruling-All Progressives Congress, and former vice president Atiku Abubakar, 72, of the People’s Democratic Party. The pair have run for president nine times between them. Atiku Abubakar has vowed to get the country “working again” by reviving the economy of the country, which is also Africa’s top oil producer. The former vice president has promised to create millions of jobs to tackle rising inequality and insecurity. Buhari, on the other hand, is hoping his achievements in office will propel him to secure a second term. The president’s supporter, Temitope Ajayi, said he is confident of Buhari being re-elected. “When pensioners and other neglected members of the society are rooting for Buhari, it is a given that he will win massively. Atiku, PDP and the conspiring elites have no chance of winning,” Ajayi told Al Jazeera. Buhari, a former military general, lost his bid for the presidency thrice before defeating former president Goodluck Jonathan in 2015. He is the first opposition candidate to defeat an incumbent president in the nation’s history. Nigeria is Africa’s most populous country with nearly 200 million people. The country has played a vital role in resolving political conflicts in neighbouring countries. Nigeria has also contributed troops to quell uprisings and maintain peace in some African countries. The African continent’s largest democracy still struggles with infrastructure deficit and two-thirds of its population not having access to safe water. Half of its population also has no electricity despite billions of dollars budgeted for power supply over the years. Nigeria is Africa’s largest economy and the continent’s largest oil producer with two million barrels a day. It also holds the world’s ninth-largest gas reserves. In 2017, Nigeria emerged from its first recession in 25 years, but growth remains sluggish and inflation high. “His (Buhari’s) handling of the economy has been somewhere between terrible and poor. After inheriting a bad situation on account of falling oil prices and general despair on corruption under the previous government, he has undoubtedly made it worse,” economist Feyi Fawehinmi told Al Jazeera. Buhari’s main challenger, Abubakar, has targeted a gross domestic product of $900bn by 2025 – more than double the current figure – and has vowed to lift “at least 50 million people out of extreme poverty”. Corruption has long plagued Nigeria with public officials embezzling funds generated from crude oil exports – the mainstay of its economy. In 2017, Nigeria was ranked 148 of 180 countries on Transparency International’s Corruption Index. Buhari won the office on an anti-corruption plank, but the opposition claims his fight against graft has been selective. Most of those being prosecuted for corruption are opposition leaders and officials from the previous regime. “This is the last battle to get Nigeria out of the suffocating hands of greedy power elites. Buhari has earned the trust of ordinary citizens who are benefiting from government programmes and projects,” Ajayi said. Millions of Nigerians struggle to make a living across the country. Nigeria has overtaken India as the world’s poverty capital, according to a report by the Brookings Institution, a US-based think-tank. The 2018 study estimated that 87 million people – slightly less than half of its population – were living in extreme poverty, compared with 73 million in India. The report also projected an increase in extreme poverty in Nigeria until at least 2022, indicating a widening gap between the country’s rich and the poor. Insecurity is a major electoral issue for Buhari as he seeks re-election. He came to power in 2015 pledging to end Boko Haram attacks, but struggled to keep that promise. The continuing battle against the armed group dominates the election campaign this year. Boko Haram may have been pushed out of the Nigerian territories it held, but it continues to ambush security forces, launch attacks on civilians, and stage kidnappings. Analysts doubt the government’s claim of victory over Boko Haram by referring to an escalation in attacks in the recent months. Four of every 10 people in the country’s workforce are either unemployed or underemployed. The unemployment rate has more than doubled since 2015, jumping to 23.1 percent in 2018. “Youth unemployment, in particular, is at shocking levels,” Fawehinmi said. The worsening unemployment situation has negatively affected the government’s image. Buhari has however promised to fix it.